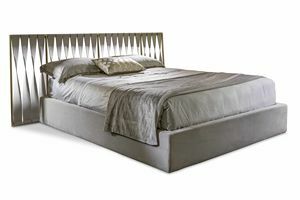 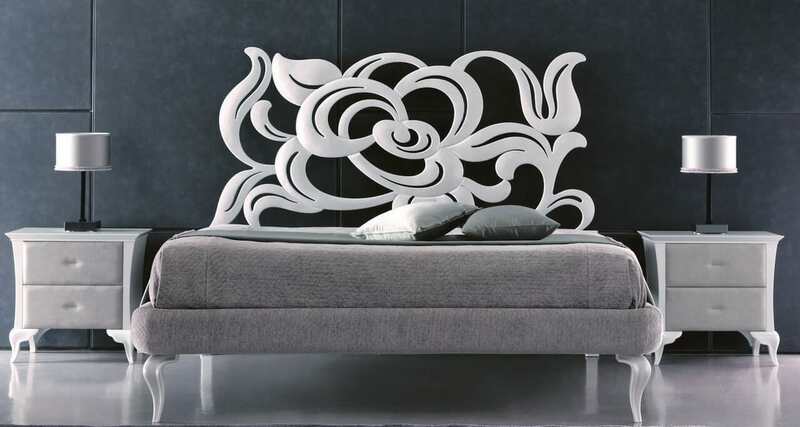 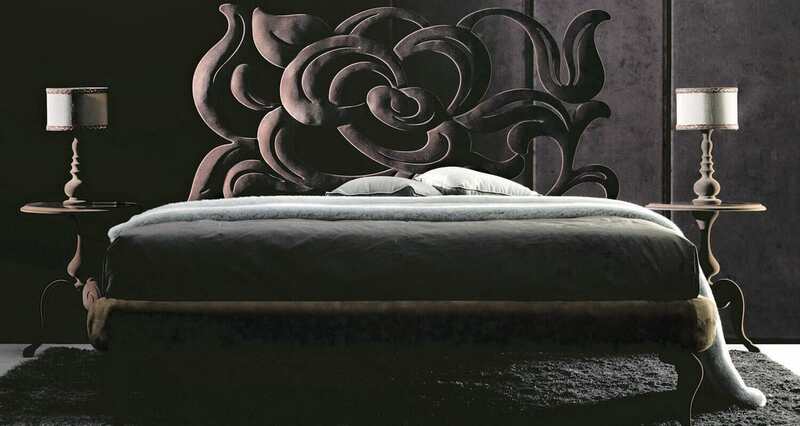 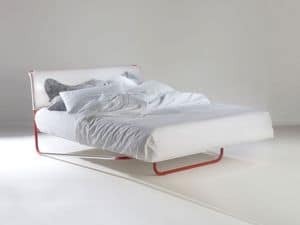 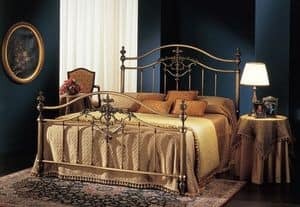 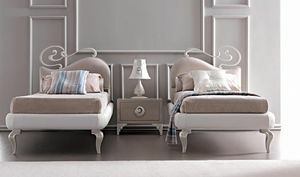 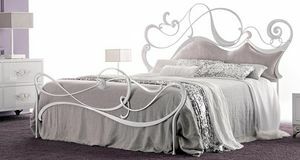 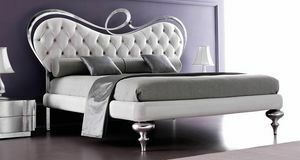 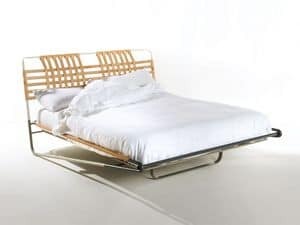 A decorative iron bed, with laser cutted wrought- iron bedhead, with three-dimensional effect; the iron bedrail is padded and covered in leather, eco-leather, fabric. 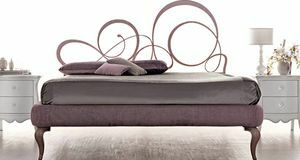 The robust thickness of the iron curves, main characteristic of Megan, reminds to sensual roses petals: a great effect, for an unforgettable bed. 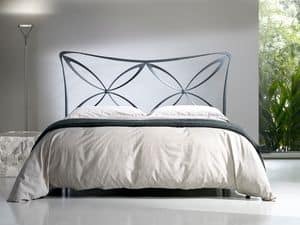 Hand wrought and polished laser cutted iron structure. 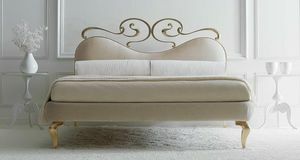 Iron bedrail suitable for upholstery and beechwood massive legs.